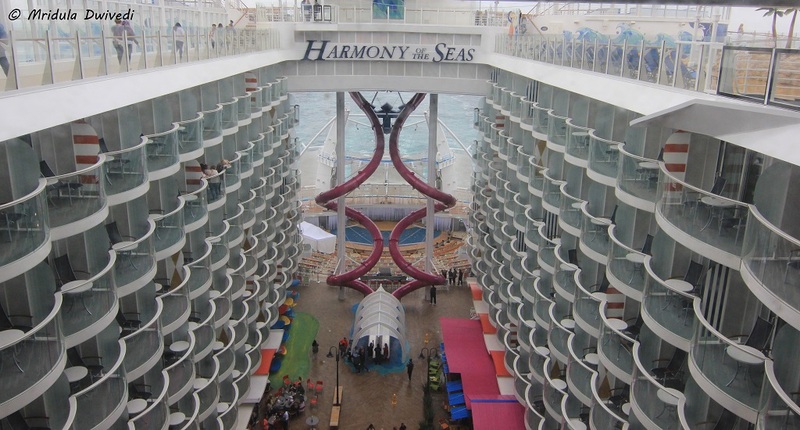 Harmony of the Seas was my first ever cruise experience. When I said this to the commander of the ship Captain Gus Andersson he replied, “well from here on it will be all downhill for you!” And we both laughed because the Harmony of the Seas is currently the biggest cruise ship in the world! I was on the pre-media sail from May 20 to 22, 2016. 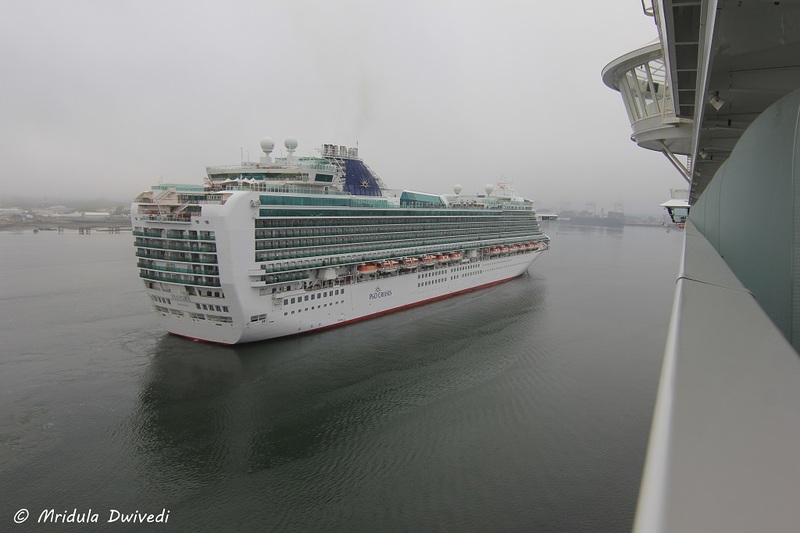 We sailed from Southampton in United Kingdom. I had seen videos and pictures of the ship, and yet when I was there in person it didn’t help one bit! It was a huge ship and I initially felt lost. I just could not get a sense of it. But it lasted only for a short while. I realized that the public areas were clearly marked on the panels next to all lifts. 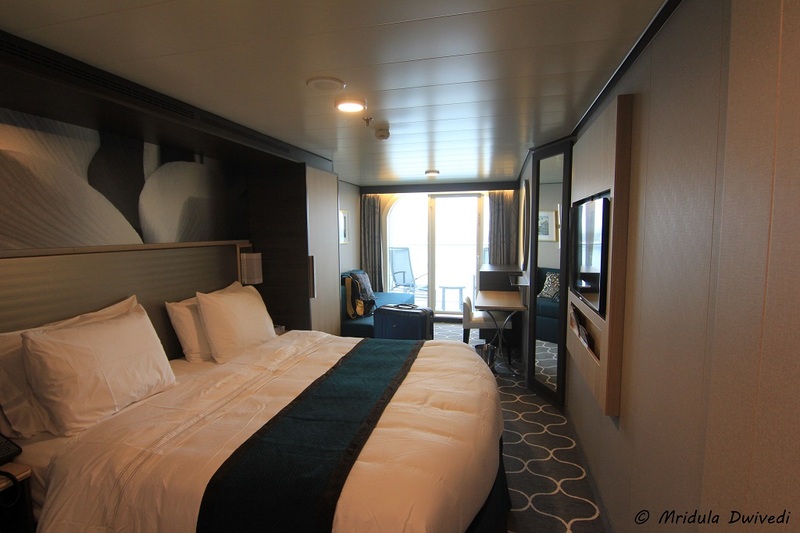 Many floors have only rooms or staterooms as they are called on the ship so they are not of public interest! In spite of its huge size I got a sense of the cruise in a while, and if I can do that, well anyone can! As I was on a media sail the internet for me was free. Otherwise I saw internet packs being advertised on the ship. In the media briefing they said a satellite beam follows the ship all along and that is how there was internet on it! And it was fast. My Room on the harmony of the Seas! I had a nice sea facing room. It was a lovely room, it served me well. There was a shower in the bathroom. I was happy with the sea facing balcony, but then I hardly spent any time in my room! It was also a pity that the weather decided to remain a uniform grey all the time I was on the ship! There are large glamorous suites on the ship too. There are many public areas to explore. With two nights in hand, I explored a bit of everything I could. 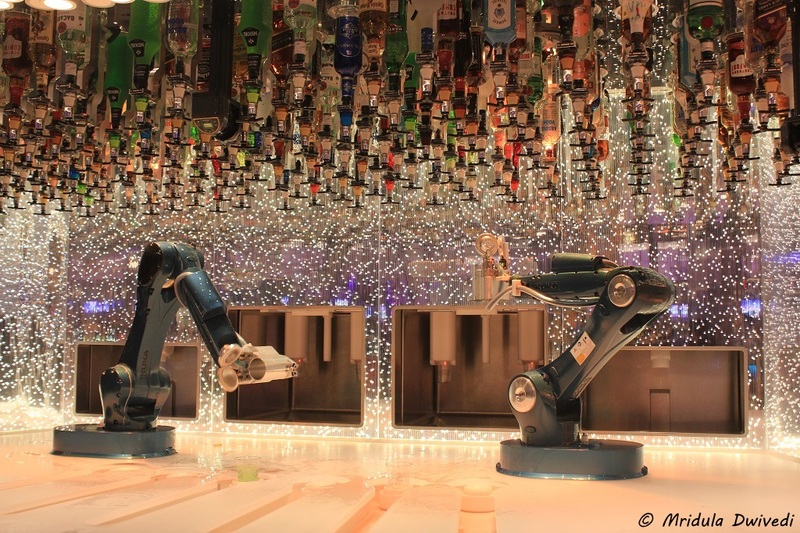 The most popular hangout place was the Royal promenade that features a Bionic Bar, the rising tide bar and the Cafe Promenade among many other places. My breakfast used to be in the Windjammer Cafe which was huge! There is a central park, there is broad walk and there is a pool area with slides too! Then there are bars, everywhere you walk, you end up being near a bar! And I had only two nights to figure out all this! 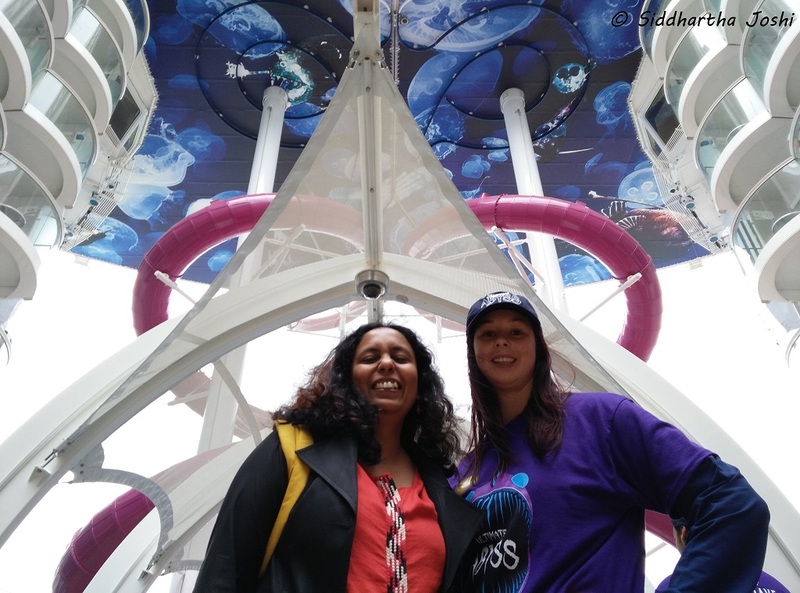 The Ultimate Abyss is probably the most discussed talked about thing on the Harmony of the Seas! All I am going to say here that I did it! And I will tell that tale too! But it deserves a separate post! 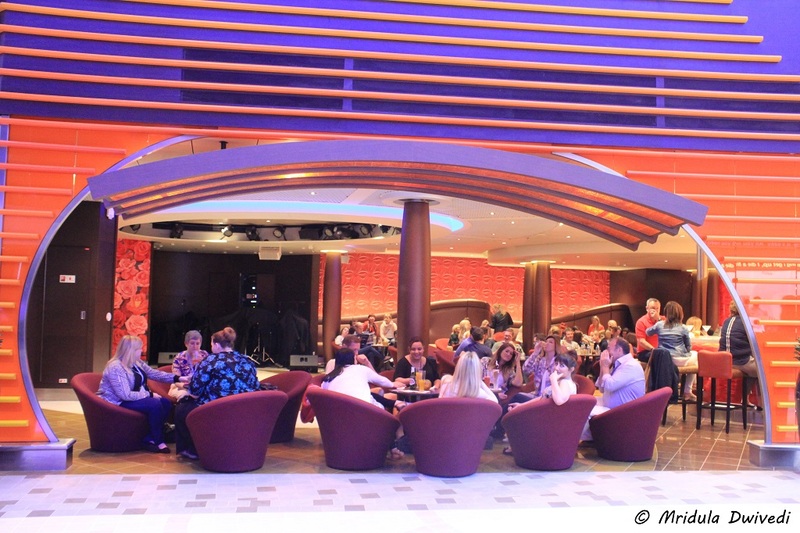 Grease on the harmony of the Seas! 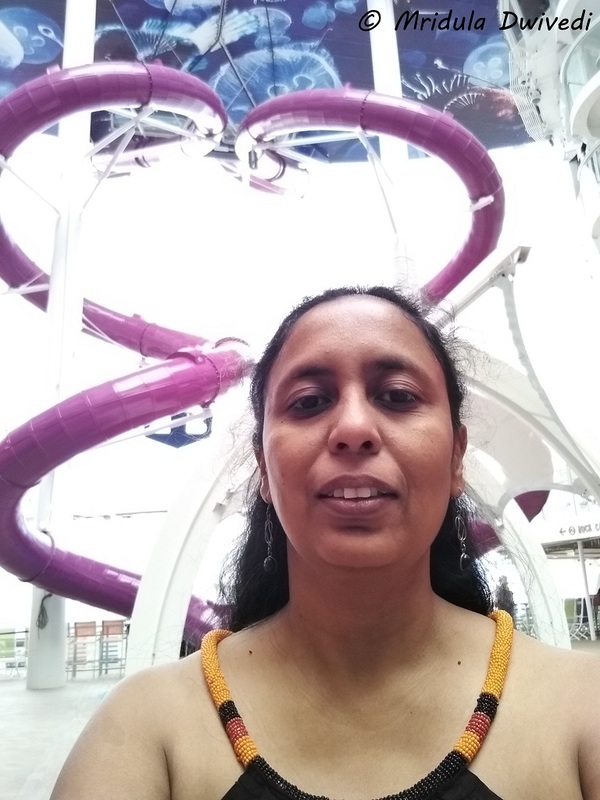 I watched a musical for the first time ever at the Royal Theater of the Harmony of the Seas! 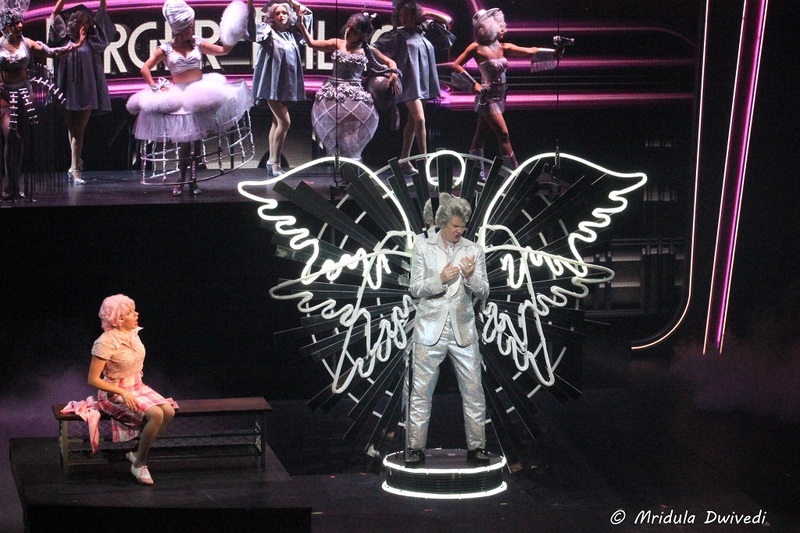 The musical’s name is Grease and it was an amazing experience for me. The crowd gave the actors a standing ovation at the end of the show! I also watched an ice skating performance, 1887, on board which was once again pretty impressive! Our pre-media sail was just a spin around in the ocean so there were no offshore tours. And yet there was so much to do on the ship itself! We sailed at about 1000 people and it didn’t feel crowded at all! 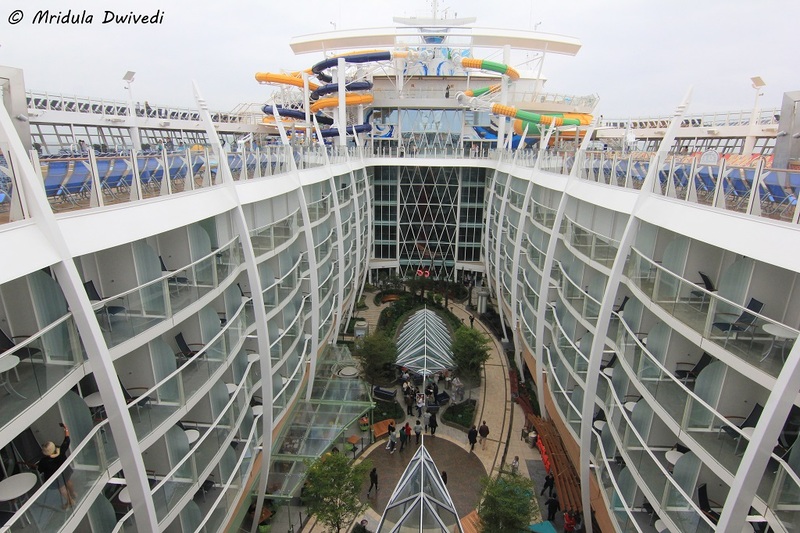 The ship at full capacity can carry more than 6000 guests! I was showing some of the pictures to my father. He laughed and said he didn’t imagine such a ship! I agree with him! I went in knowing not what to expect but I can certainly say that I came back impressed! PPS. 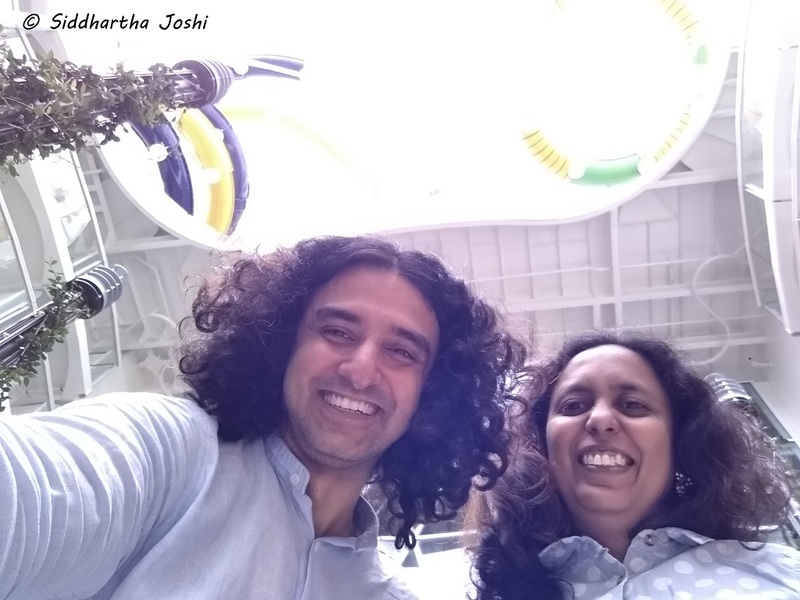 It was fun to share the experience with Siddhartha Joshi!